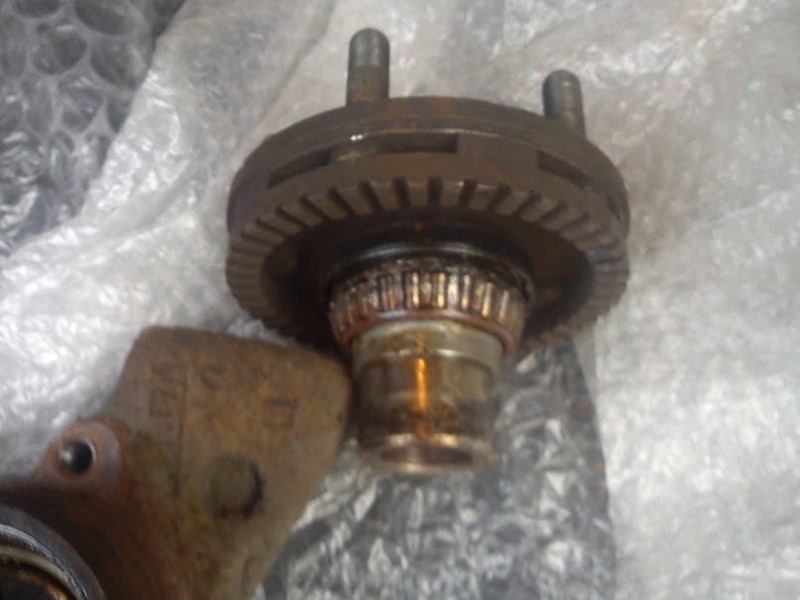 I think I need to replace my rear NS wheel hub as 2 years ago I had the wheel bearing replaced on that side and the bearing has gone again, according to the service history 2 years prior to me getting the car the same bearing had been replaced. I think its the hub that is damaging the bearings some how. Can any year model GC8 rear hub with ABS fit a MY99 UK Turbo? Replaced the rear hub which came with a bearing. 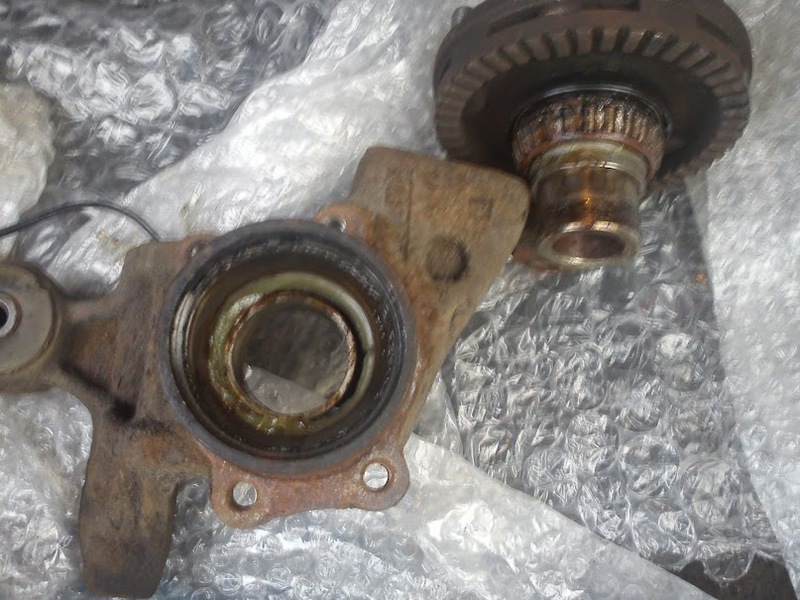 I asked the mechanic to remove the original bearing from the old hub to inspect it to find out why it had failed, turns out it was not the hub, the bearing had very small roller bearings inside when it should have had big ball bearings. I'll post a photo when I have time. photos of rear hub and wheel bearing with incorrect type of bearings in it. Who fixed it 2 years ago ? If your referring from when I owned the car, first of all I supplied the bearing, it was a 3rd party one from Import Car Parts advertised as OE quality from Japan. I got Revolution Motorstore to fit it, the problem is you can't tell what type of bearings are inside them as it was all encased/complete and only required pressing. The previous owner had it replaced by Mr Tyre Ltd. I will still buy parts from from Import Car Parts but only genuine parts from now. 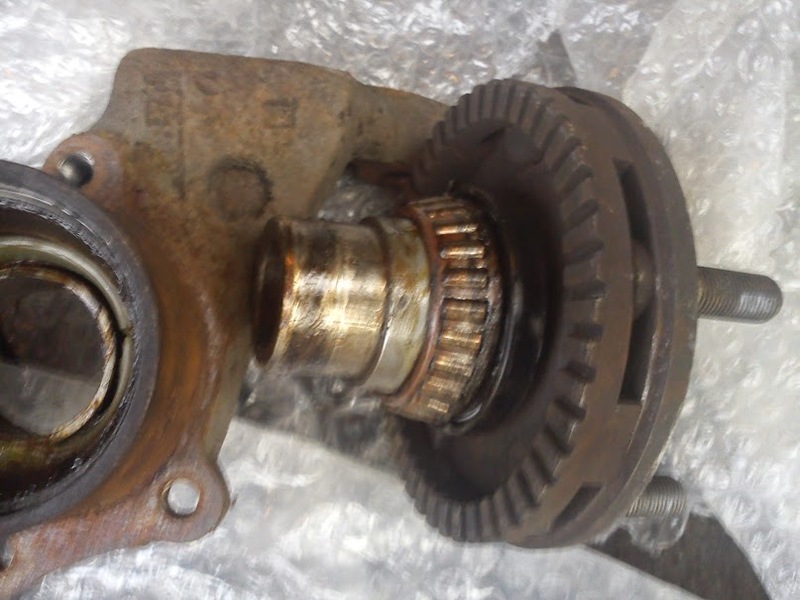 I emailed Import Car Parts and explained what happen included a photo and they told me that all Impreza's from 1993-2006 use roller bearings as they are tougher due to the larger surface area, the 3rd party bearings are made by Koyo in the same factory as Subaru. I wasn't going to argue, lets say they are correct why would Subaru fit weaker ball bearings to new age models that weigh more than the classic age?